If you are following my posts you will know that I now have my own craft studio. There was already an old orange fabric cane sofa in the room which I thought would be worth keeping to relax on. I decided to give it a makeover so it looked better in my studio. 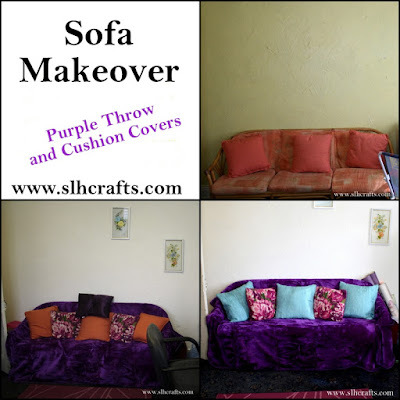 I bought a large purple throw to cover the whole sofa which already made a huge difference and matched the purple furniture in the room. 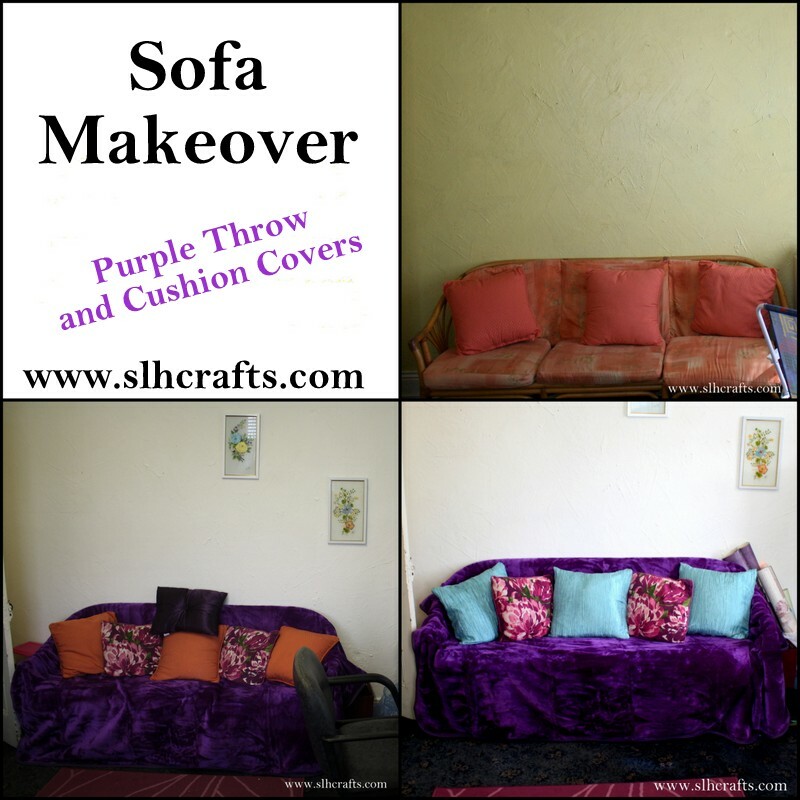 I then bought some cheap purple flowery cushion cushions from a charity shop which had a hint of purple in them. I then wanted some Teal coloured cushions which were not easy to find cheap, however I found a Teal coloured fabric shower curtain in a charity shop and asked my mum to make some cushion covers with it. I got 3 cushion covers from the one shower curtain and recovered the orange cushions, the colour matches lovely to the teal already in the room. I now have a lovely sofa to relax on in between my crafts now. The room is nearly finished, so hopefully I will be able to do a post with the grand reveal soon.